Can you do an MRI with metal crowns? 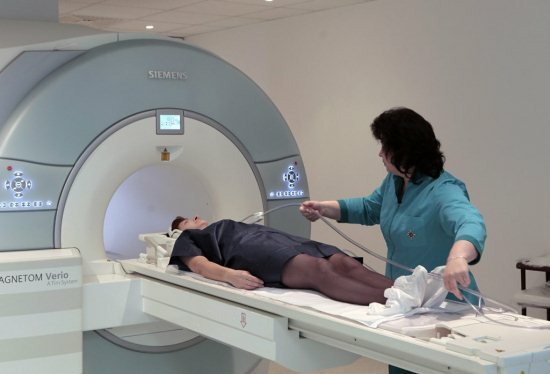 MRI is one of the most effective ways to diagnose diseases of different systems of the human body. The value of the method is increased due to the its safety for the patient, as the test is performed without the use of harmful x-ray radiation. The diagnostic basis of MRI is to record the return momentum of the electrons in a strong electromagnetic field. Through the research it is possible to obtain detailed three-dimensional image of the body to assess its function and blood flow. Currently, for the manufacture of dental crowns are widely used porcelain fused to metal (metal ceramic). As the basis of metal-ceramic crowns is an inert metal that does not react to the action of the electromagnetic field. 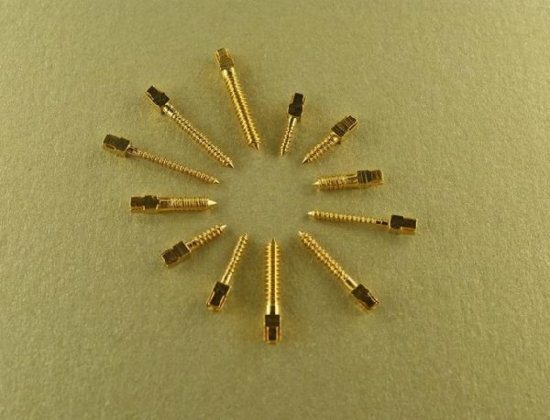 In the manufacture of fasteners crowns are used iron, Nickel and cobalt, which react to electromagnetic effects. However, heating of these metallic elements occur is insignificant (less than one degree), so the damage to the surrounding tissues of the oral cavity harm the metal will bring. The mobility of the metal structures is also excluded in this case so as to move the metal can only be surrounded by soft tissue, and dental crowns it is surrounded by hard tissue. The only negative factor during the MRI may be distortion of the research results. Therefore, the presence of dentures is necessary to inform the doctor who will carry out the procedure. In modern devices it is possible to do the change of tinctures, taking into account possible distortions. 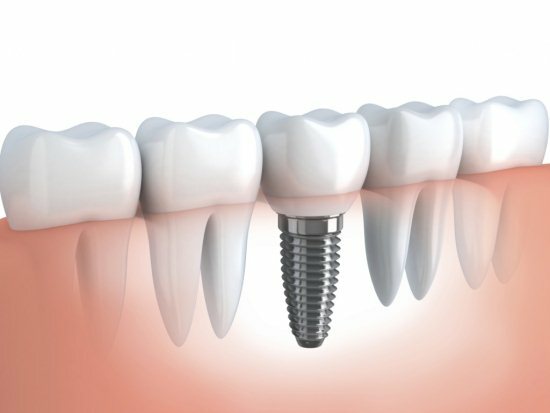 Installing dental implants is a modern method of treatment of secondary edentulous, which is widely used in the last ten years. Features of the procedure require the use of inert metals which do not cause rejection by the body tissues. These metals do not interact with the electromagnetic field and do the MRI with them without the risk of complications. But, like dentures, they can cause distortion of the result of the study, it is therefore necessary to prevent diagnostic staff about the presence of implants before the procedure. It is especially important to consider the presence of metallic elements in the oral cavity when performing MRI of the brain, heart and other organs of head, neck and thoracic cavity. Aiming at the examination of the abdominal cavity, lumbar spine, pelvis and lower limbs does not change the results of the MRI. The pin is a thin metal rod, which is installed to support the filling material during treatment, if the tooth has a significant defect. The pin is fixed completely with a filling material, so the risk of displacement of the pin or heating during magnetic resonance imaging not, regardless of the material from which the pin is made. The presence of pin it is better to inform the doctor to rule out an incorrect study result due to the distortion of the magnetic field. Like other construction, metal braces fixed to the teeth, will not harm the patient during the MRI study, but given the large volume of metal (throughout jaw), the distortion of the result of the study can be substantial. If the MRI study is vital, for example, if there is suspicion of a tumor or aneurysm of the brain, you’ll likely need to do the temporary removal of braces. READ Preparation for barium enema the Fortrans: how to take? In recent years in the treatment of bone structures using a tantalum is an inert material which survives well in the bone tissue without causing complications. Of tantalum perform, clamps, connecting bone fragments. Use the material and for manufacturing the root portion of the implants in dental prosthetics. The material is inert and low interaction with the magnetic field, so to do MRI, if there is a tantalum staples you can, but to report them to the doctor. Almost all modern hardware used in dentistry, allow us to perform MRI and will not harm the health of the patient.. But since they can distort the result of the study, their presence must be reported to the doctor performing the study. In modern devices you can change the settings to neutralize this factor. Is it possible to put braces on crowns, implants, fillings? Allergic to metal: why does it occur and how is it treated?